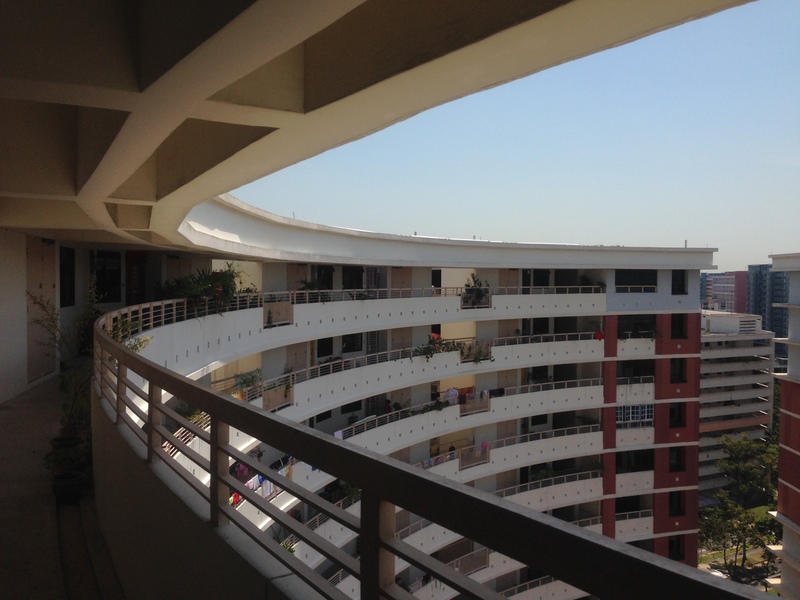 When one thinks about a HDB block, the first thing that comes to mind is a stack of equally proportioned flats, with a myriad of straight corridors and right-angled turns leading one from the void deck to their homes. 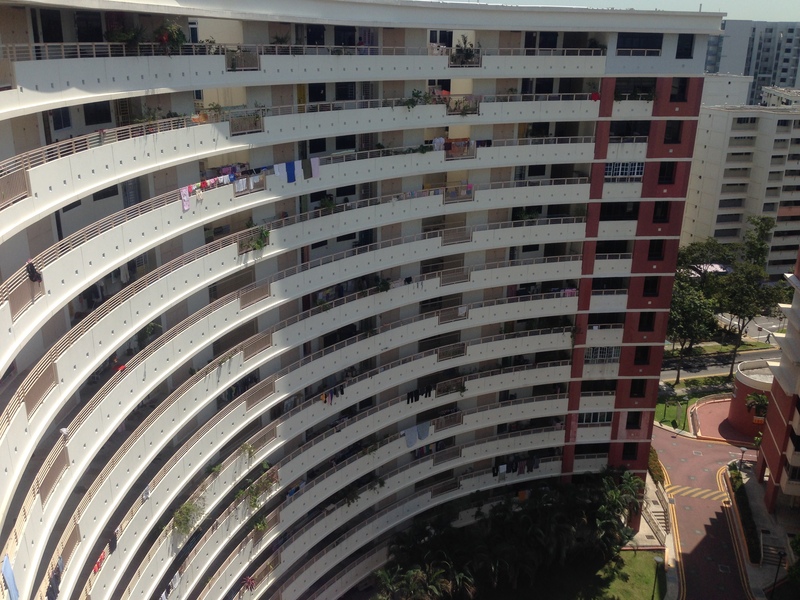 But for residents of block 161 along Upper Paya Lebar Road, their semi-circular block provides a unique setting and architectural landscape that almost no one else in Singapore is able to enjoy. 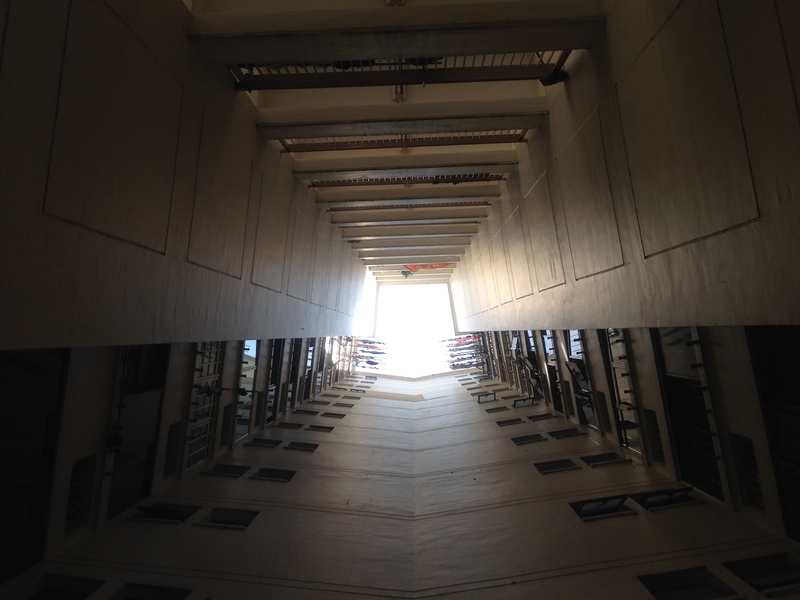 The void deck itself looks pretty ordinary except for the gentle curvature as you walk along, which in turn leads you to observe unique airwells in between the units for laundry and air-conditioner condensers. 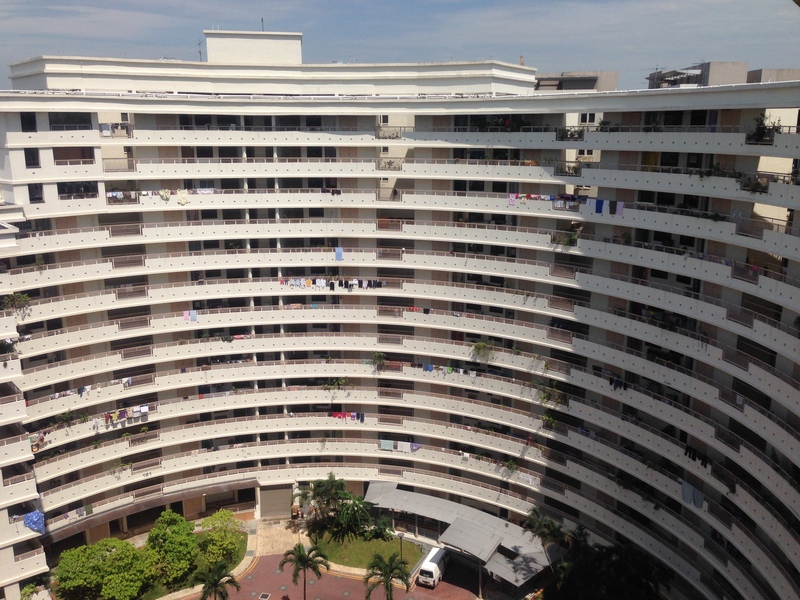 Yet for me the most unique part of the block has to be its corridors, where unlike most HDB flats, one is able to see practically all of his or her neighbours from the windows of their own corridor units. As to whether this promotes harmonious living or better coffeeshop gossiping is something we will never know. I didn’t dare to intrude too much into the units, but based on the structure it is safe to say that each unit must have a gentle curvature along its sides that probably caused some confusion amongst its owners when organising the furniture. 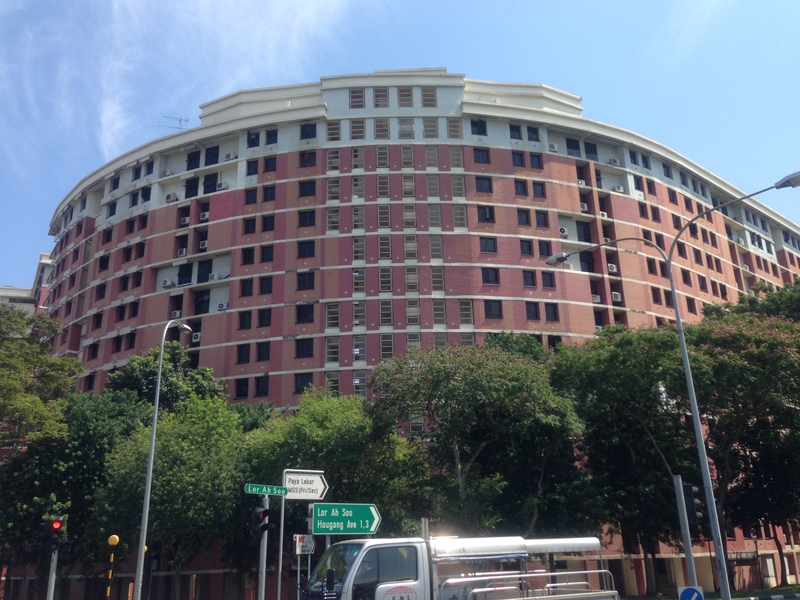 Block 161 is however perhaps not the most famous circular-shaped block in Singapore, with that distinction probably going to the 38-storey horse-shoe shaped Pearl’s Hills Apartment in Chinatown, and Block 259 along Ang Mo Kio Avenue 2, the only circular HDB block that was ever built back in 1981. 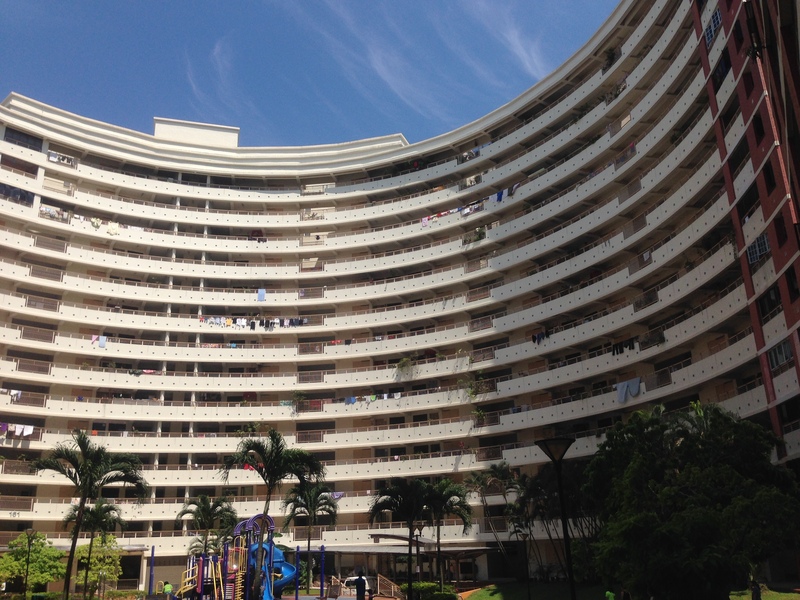 Though impractical when it comes to arranging furniture, these unique circular blocks are a welcome sight contributing to our architectural history. 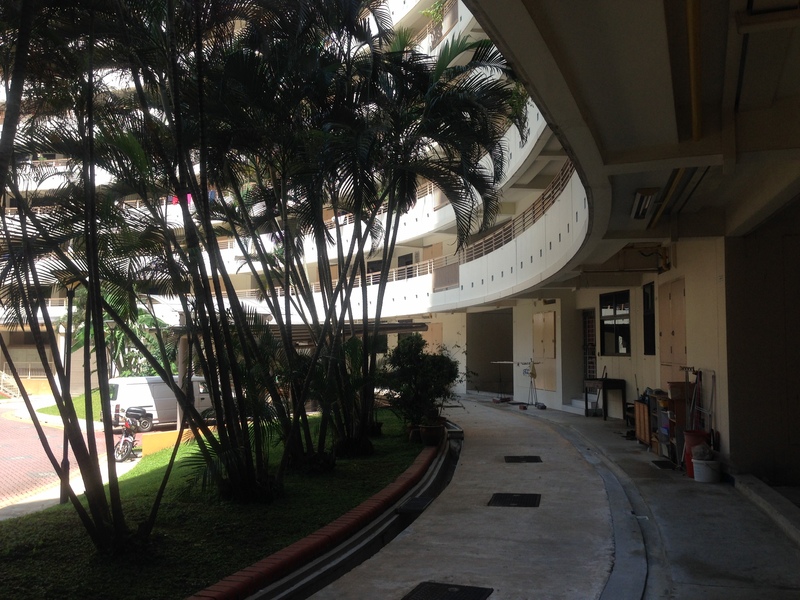 contrary to stereotypical views of boring hdb blocks, to its credit, HDB has experimented with all kinds of unique and quirky designs and they are all hidden and sadly passed over as time goes by with little Singaporeans ever knowing of their existence. please document these down! i can pass you list which i have compiled personally as a hobby, haha!